Following a smash-hit Off-Broadway run, and a critically acclaimed sold-out world tour, At the Illusionist’s Table promises an unforgettable night of illusion, mentalism and fine dining. Ticket includes a three-course dinner by BlueBlood Steakhouse. Limited parking is available at Casa Loma at an additional cost. Following a smash-hit Off-Broadway run, and a critically acclaimed sold-out world tour, renowned Scottish illusionist Scott Silven brings At the Illusionist’s Table to Toronto. 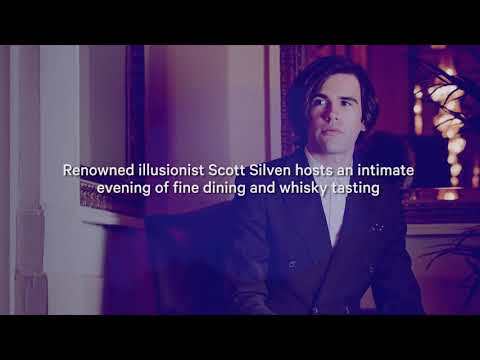 In a private dining room tucked away deep inside Toronto’s historic Casa Loma, Silven hosts an evening of fine dining and whisky tasting interwoven with illusion, mentalism, and storytelling. Guests won’t believe their eyes, ears or taste buds as candles flicker, whisky flows, and conversation stirs over the course of an unforgettable evening. Before the night is over, mysteries will materialize and dreams will be revealed. Join us for an exquisite once-in-a-lifetime sensory experience that transcends art and performance. There are only 24 seats available for each performance so book early to secure your place!